We have a new contest up in the Contests section of Roll Call for you. 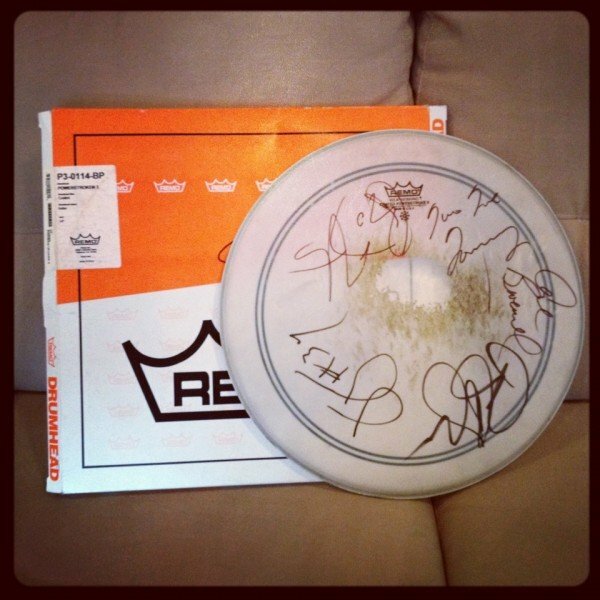 Enter to win a drum head signed by My Morning Jacket! The deadline to sign up to be selected to win is June 22nd. Good luck! Not a Roll Call member yet? Join today and get access to tons of perks including Exclusive merch, Roll Call presales, VIPs, contests, and more!